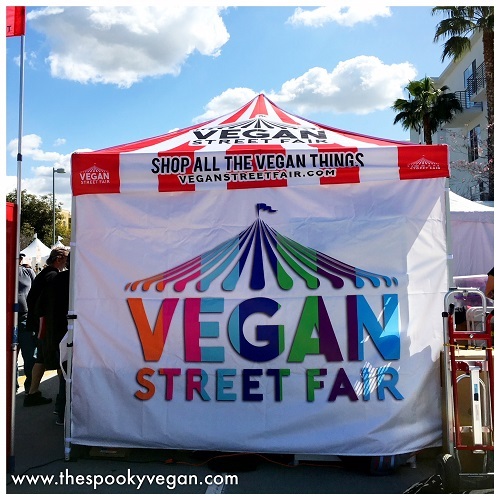 This past Sunday I attended Vegan Street Fair 2018, which was bigger than ever! 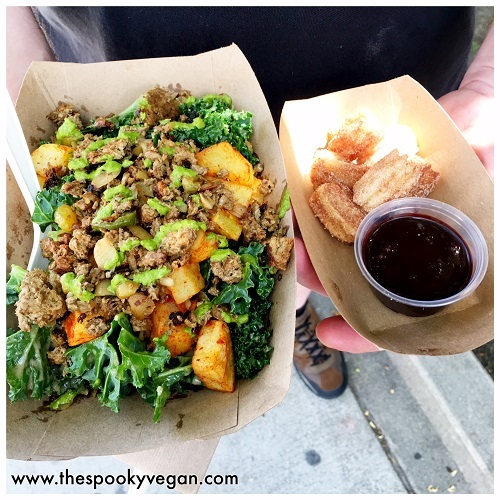 Vegan Street Fair started in 2015 (read my past coverage HERE, HERE, and HERE! ), and it has grown every year since then. 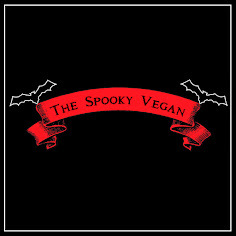 It truly has become one of my favorite vegan events! This year sooooo many people turned up to this festival, which is free (though you can buy fast pass tickets so you get front-of-line). 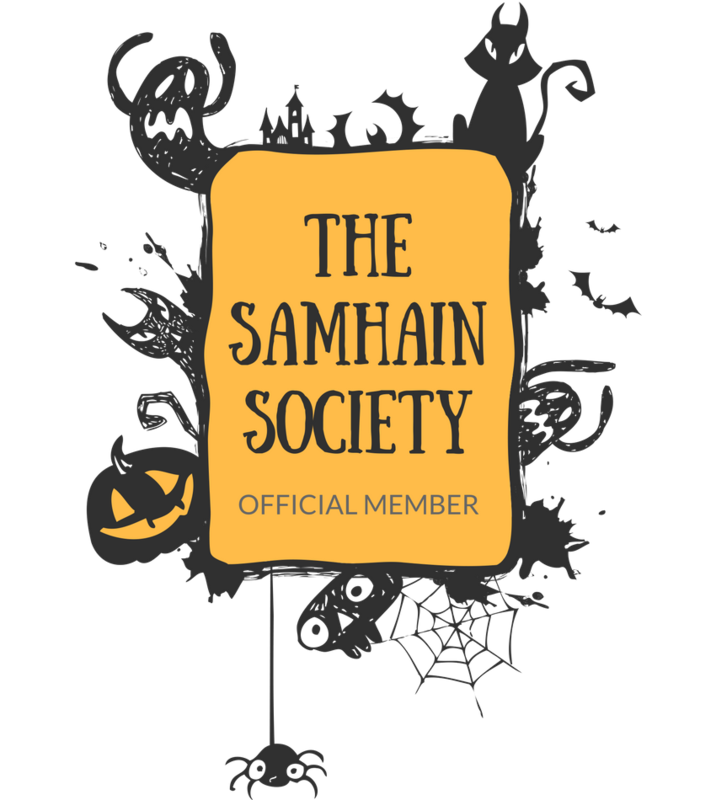 It is estimated that 10,000 more people showed up this year from last year's huge number of attendees! 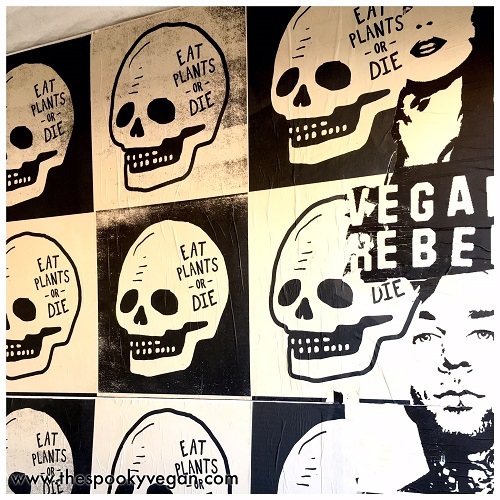 It is so amazing that more and more people are turning out for vegan events and eating all the vegan food. 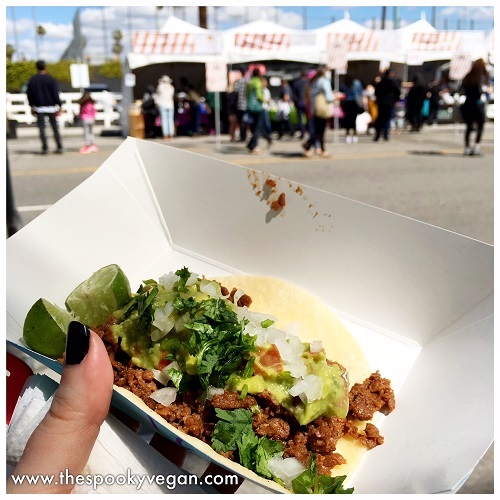 The Vegan Street Fair was held in North Hollywood like past years, with blocks of streets blocked off for the festival. 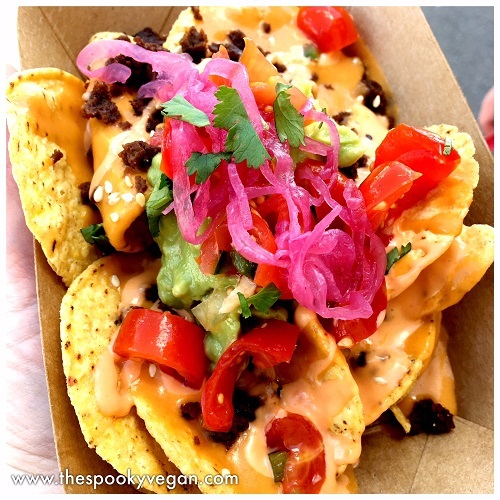 There was a beer garden, lots of seating, games, and of course rows and rows of vegan and vegan-friendly vendors! I received a press pass to attend the event, and I will say that the line to pick up fast passes was a little long and slow going. However, after I picked up my pass, it was so worth it to be able to enjoy front-of-line privileges at many booths! If you are able to, I definitely recommend springing for a fast pass so you aren't stuck in the loooooong general lines for food. 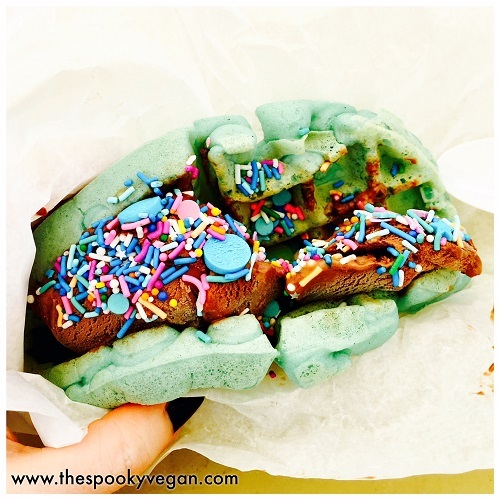 all day - they were sooooo good! Impossible Burger and it was wild how close the texture was to beef! 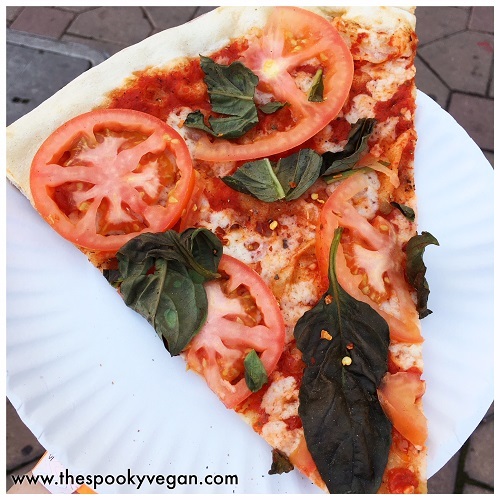 Vagabond Vieras' tomato and basil pizza - such a huge slice and perfect crust! 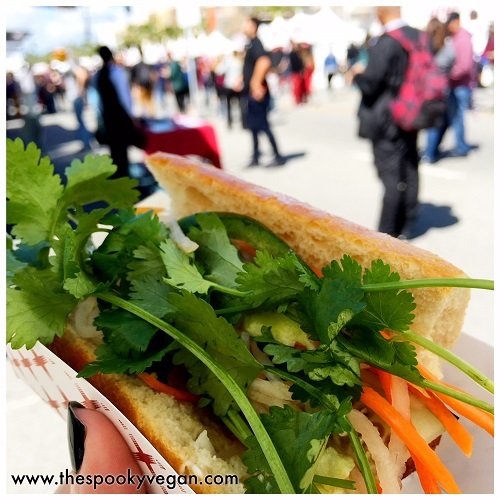 Mandoline Grill's Tofu Banh Mi Sammie - always a must-buy! 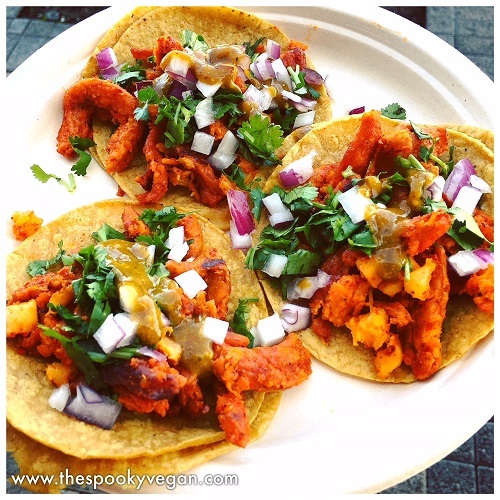 The Pretty Taco from Chicana Vegana - really tasty!! 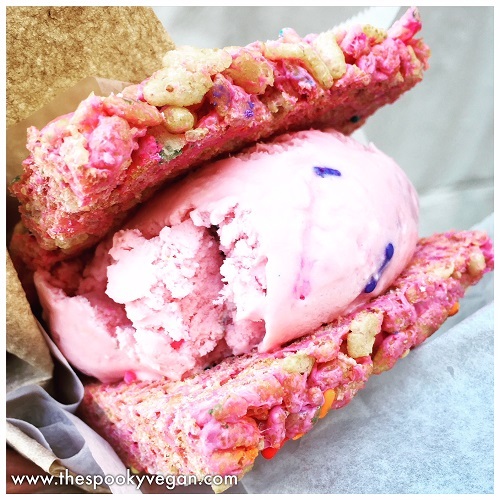 with Unicorn Magic ice cream and sprinkles from Cocobella Creamery! It was magical and heavenly! full sandwich they were serving. Besides food, there were lots of beauty, makeup, clothing, and other types of vendors. I didn't end up buying anything from these booths, but was happy to see them all bustling! 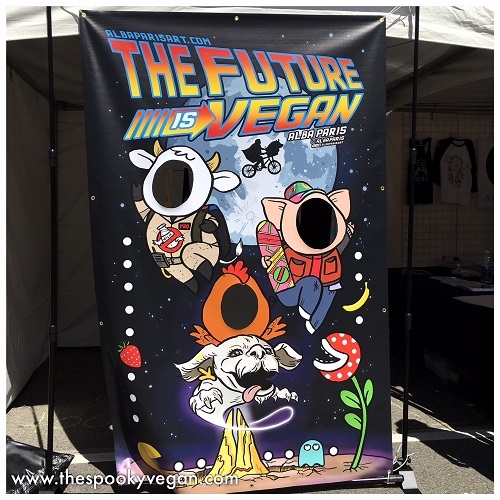 BeetxBeet's rad booth featuring a collaboration with Vegan Club! 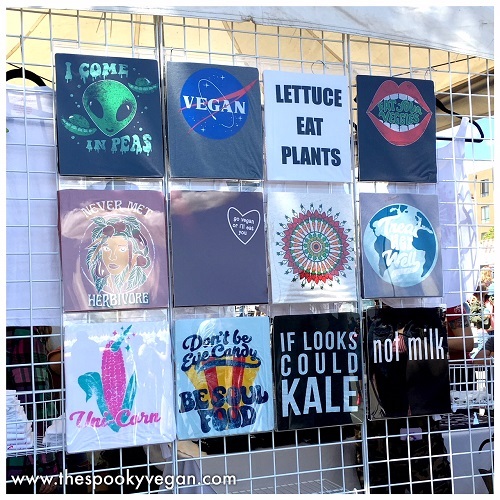 All in all, I had a fun time at Vegan Street Fair. Mister Spooky and I shared some bites and stayed about two hours. However, it got pretty crowded and since neither of us do well around crowds, we decided to head out for the day. 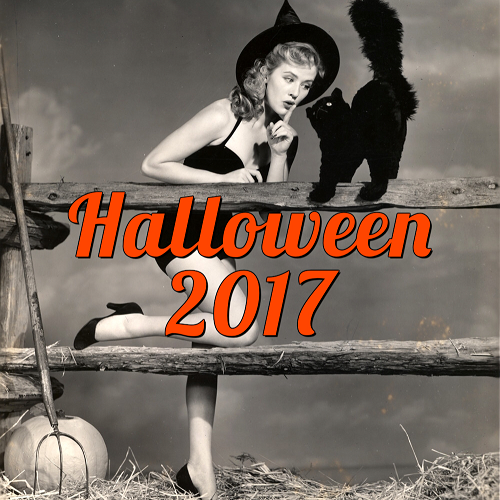 Still, we tried a variety of vendors and hit up almost all the booths we wanted to check out. I liked how they brought in smaller vendors or vendors from out of town so we could try new stuff! 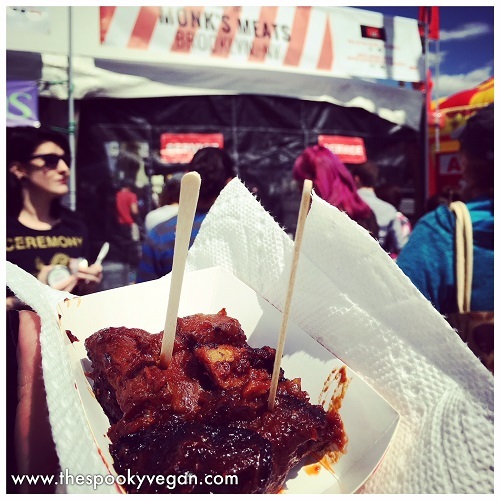 Did you go to Vegan Street Fair this year? 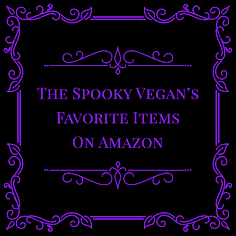 If so, what were your favorite things? 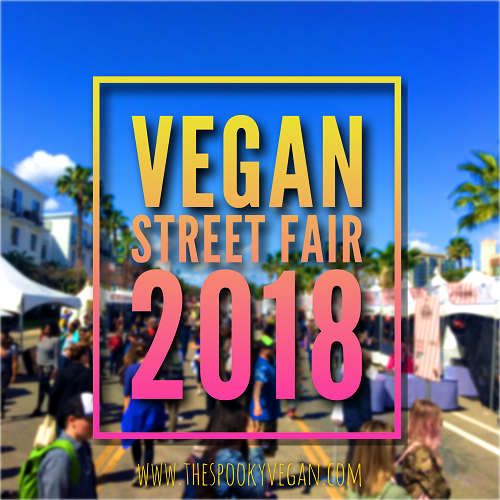 Vegan Street Fair holds other events throughout the year across the U.S., so check out their website for upcoming events!